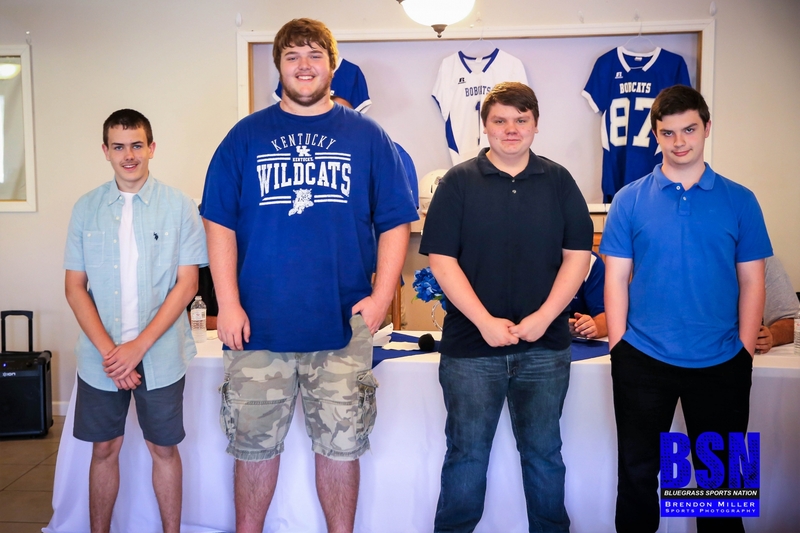 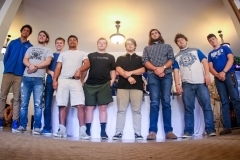 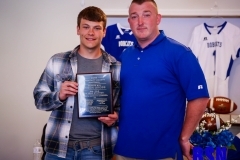 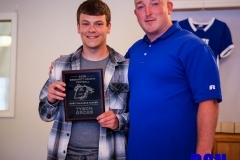 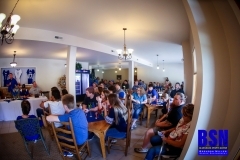 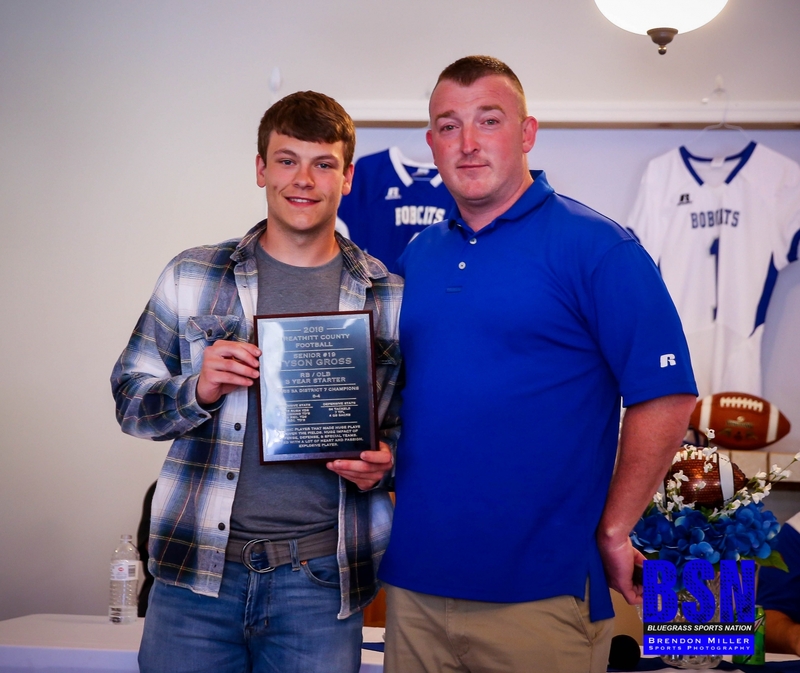 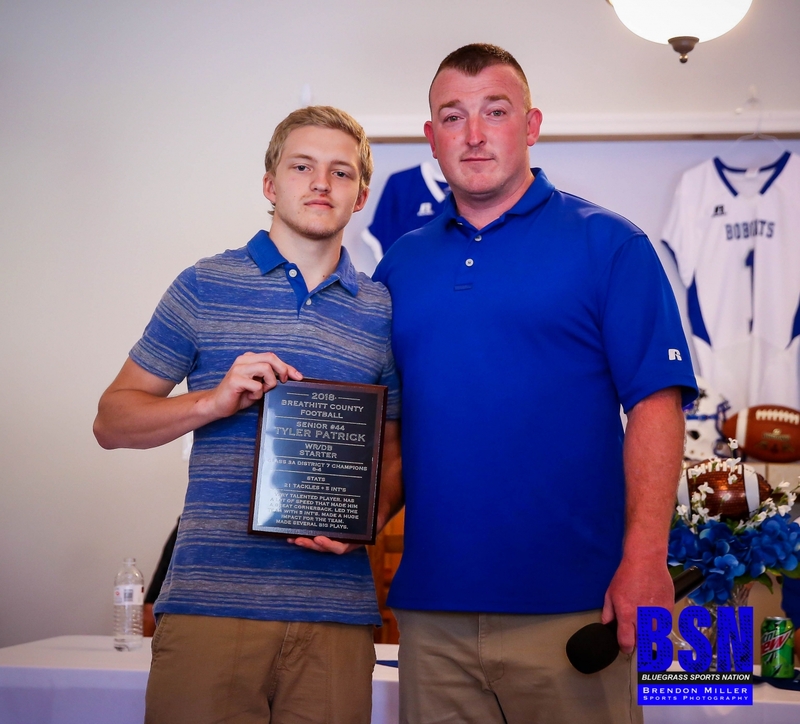 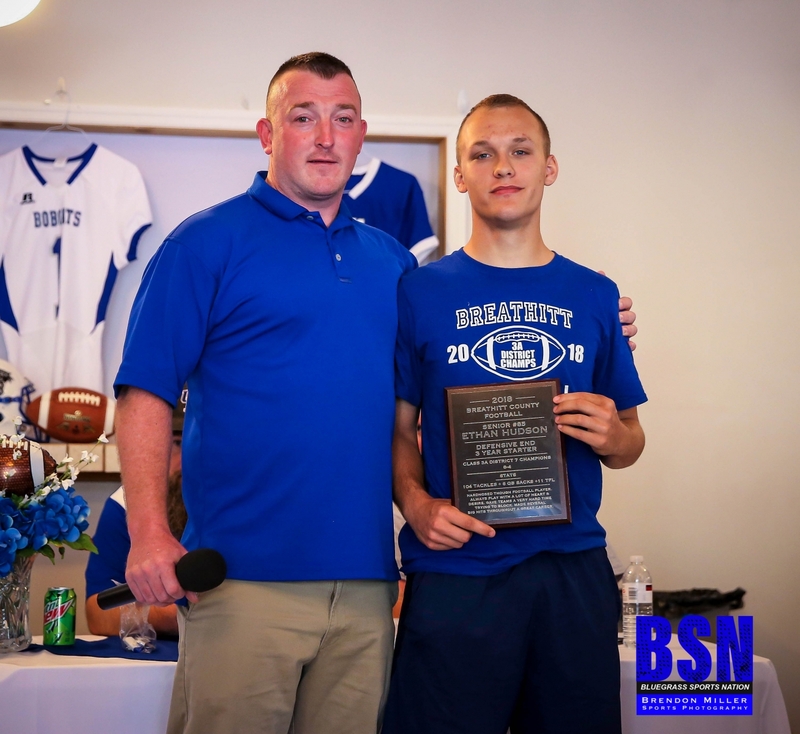 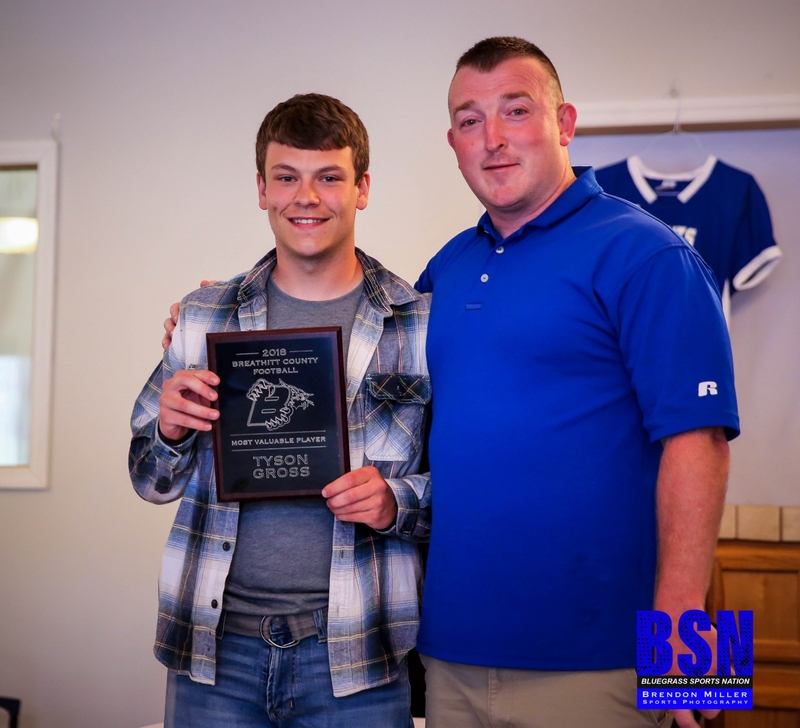 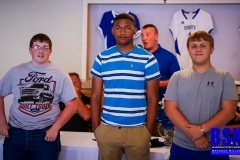 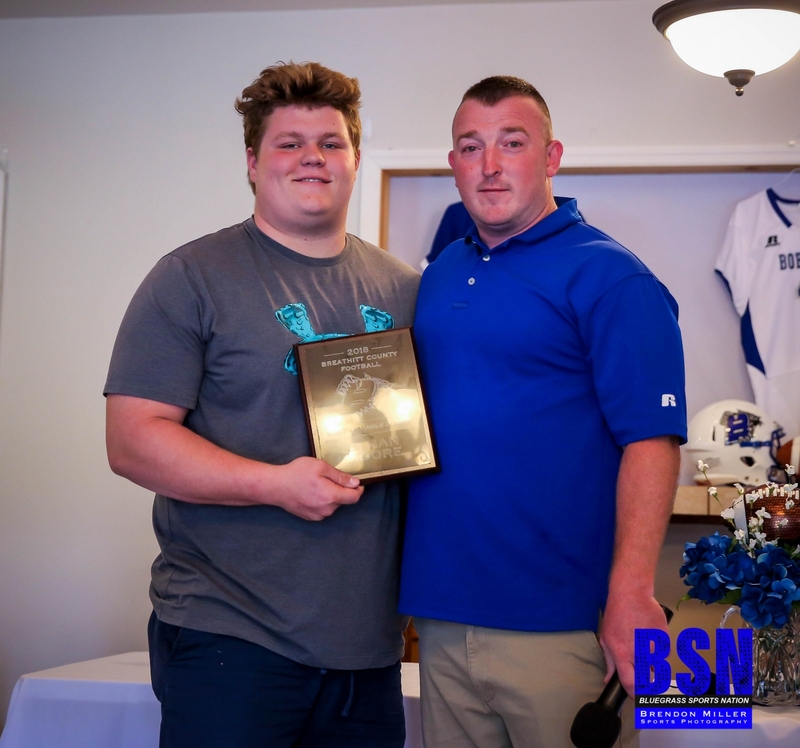 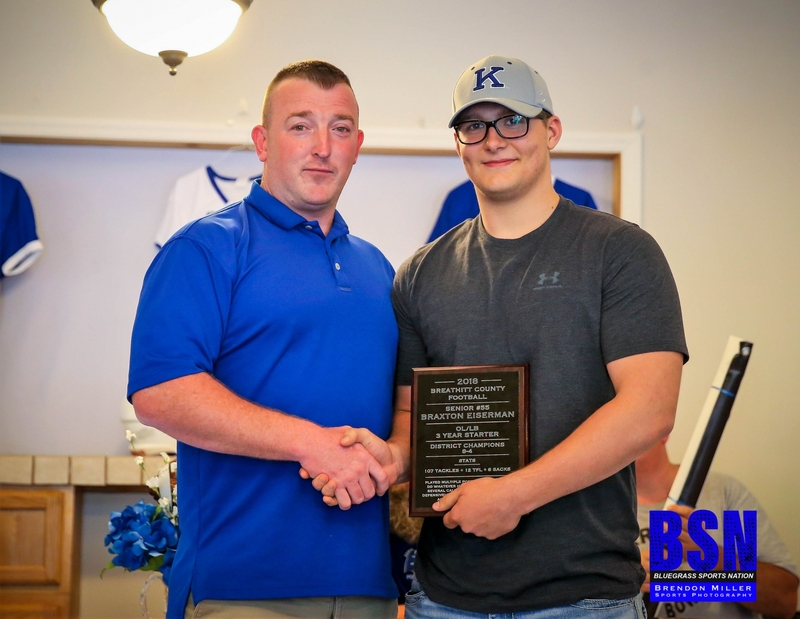 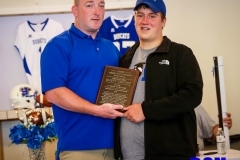 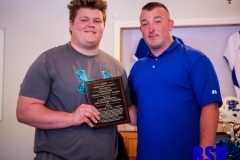 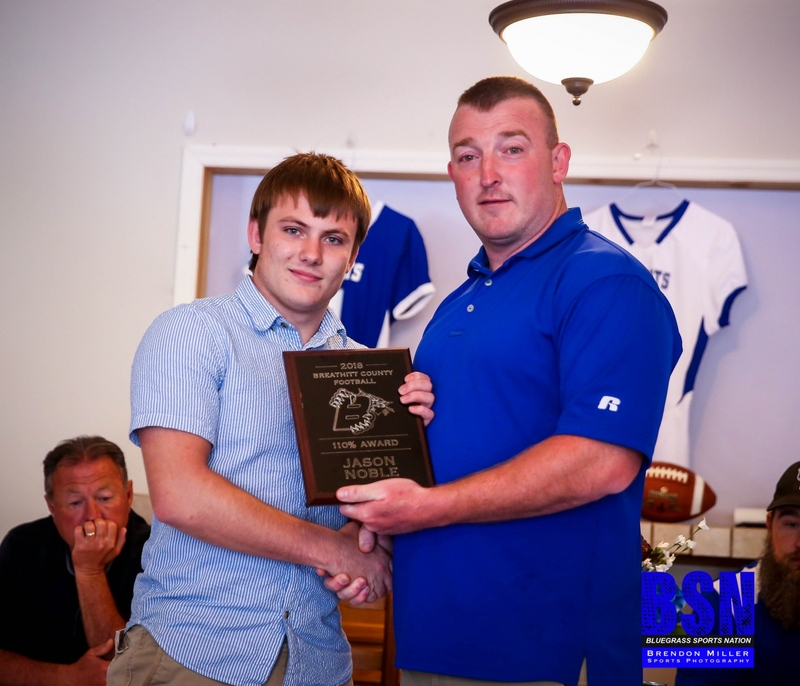 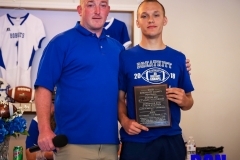 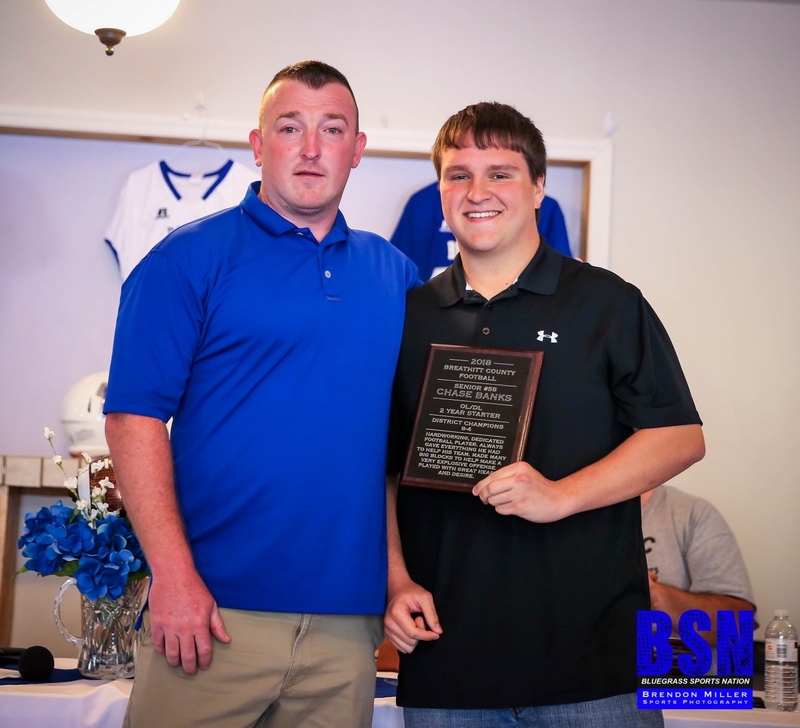 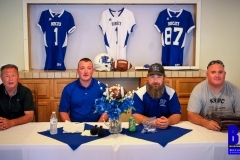 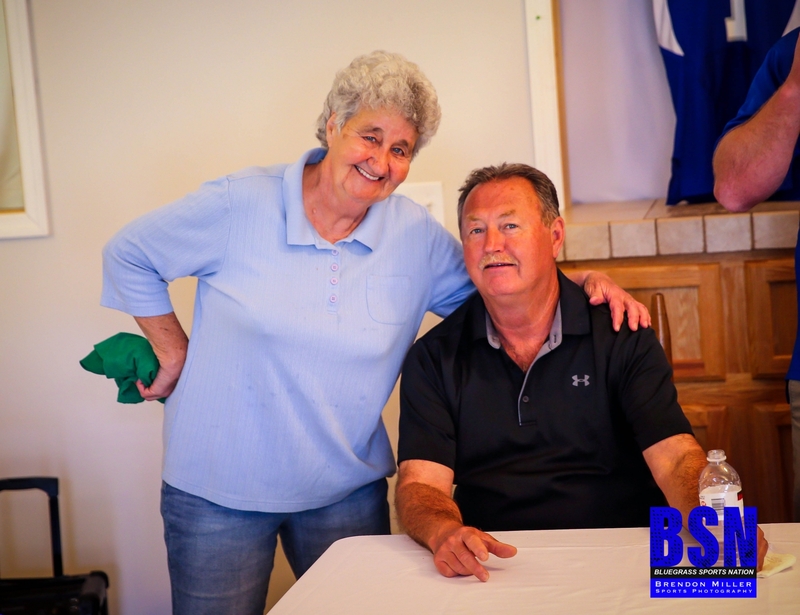 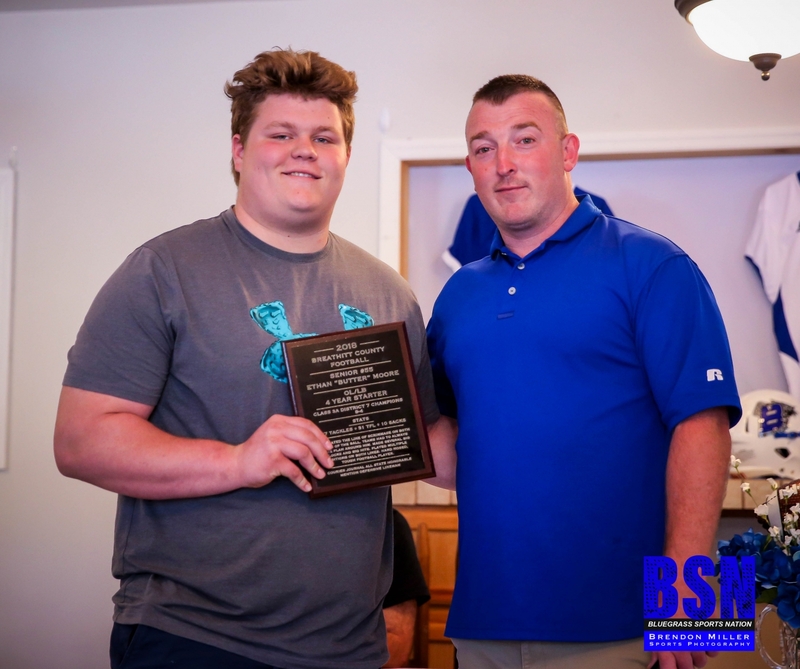 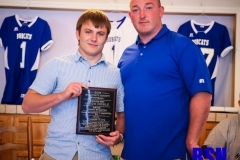 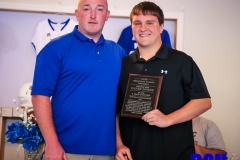 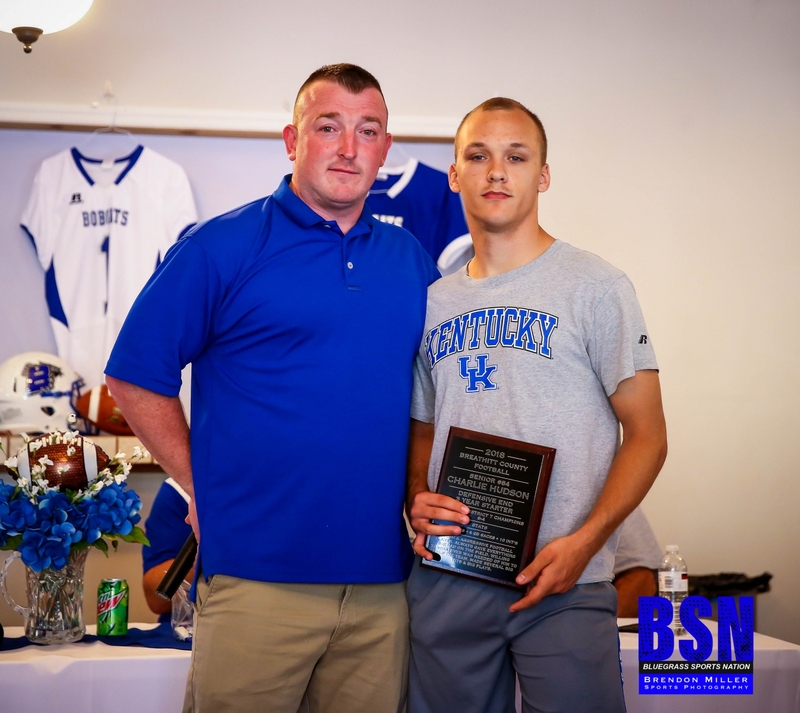 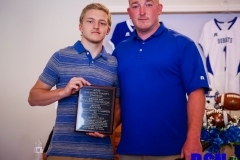 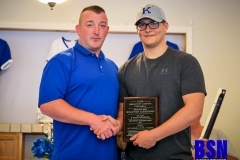 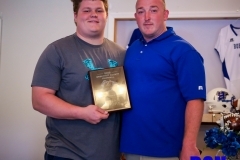 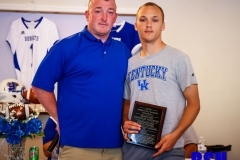 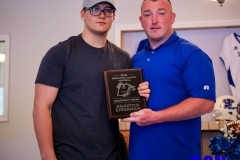 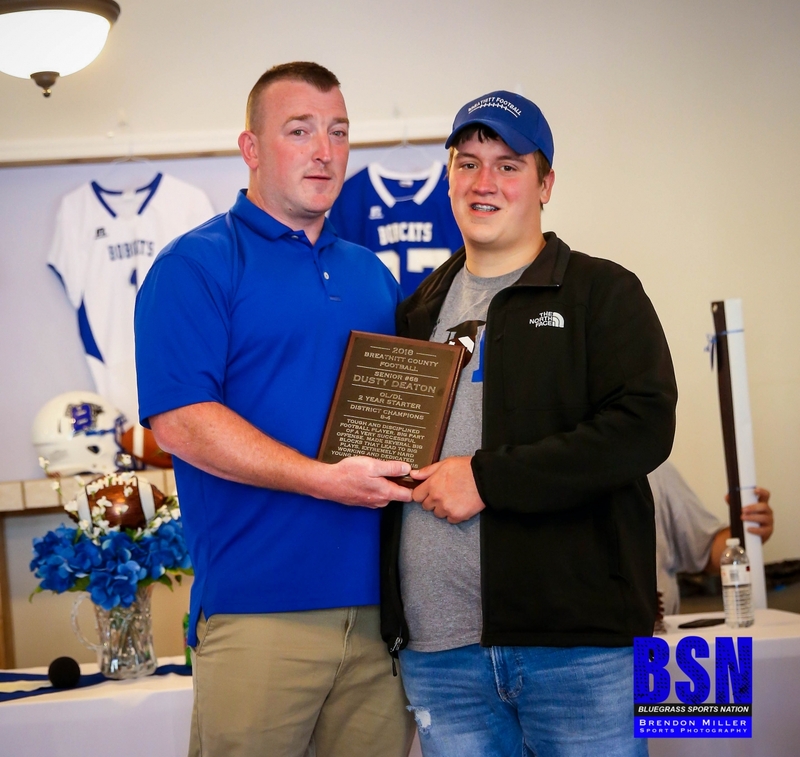 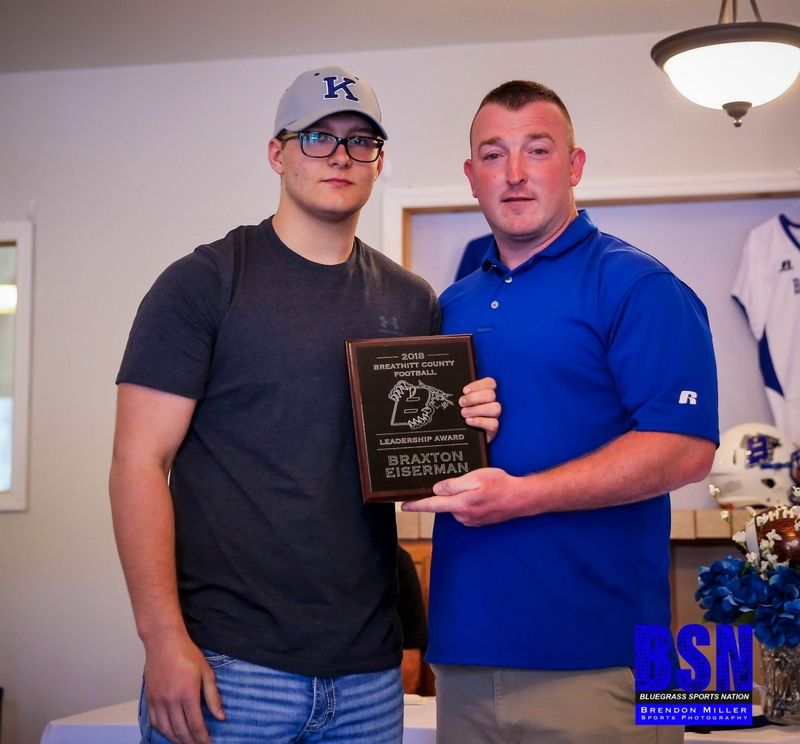 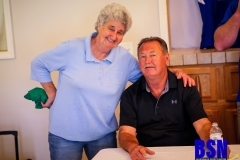 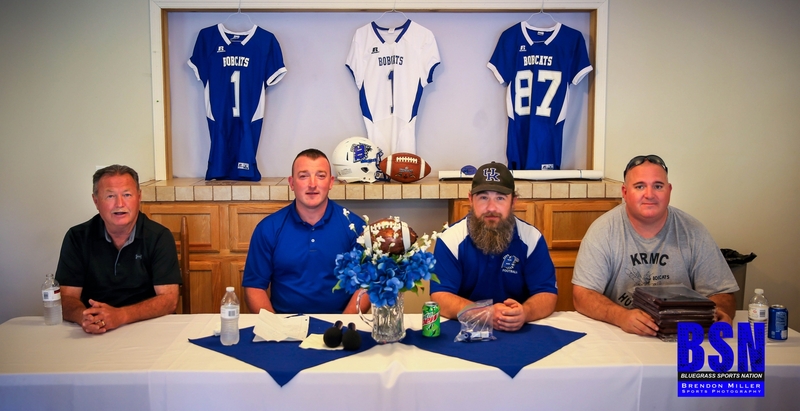 Coach Kyle Moore and the Breathitt County Bobcats held their Banquet and Award ceremony on Sunday, April 14th to a packed house of over 100 people at the former Sugar Camp Golf Club Clubhouse in Jackson. 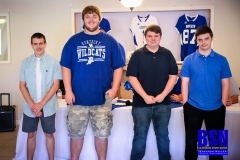 The Bobcats celebrated their 8-4 season and District Championship. 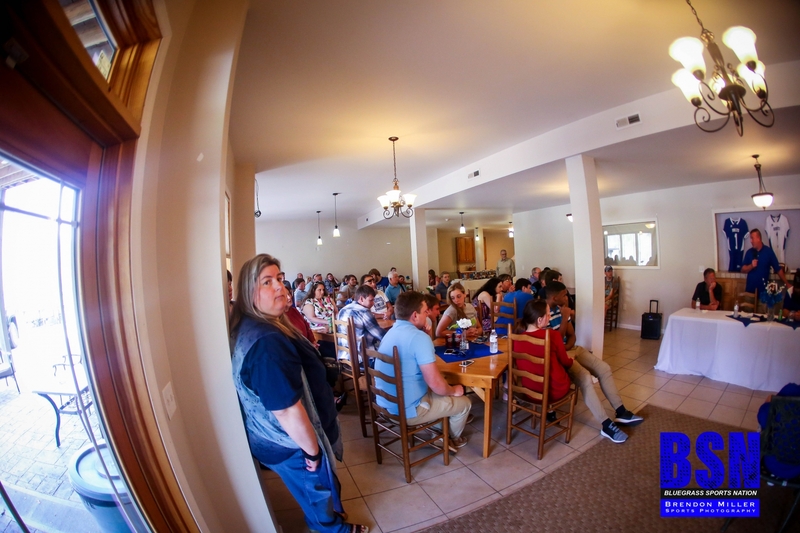 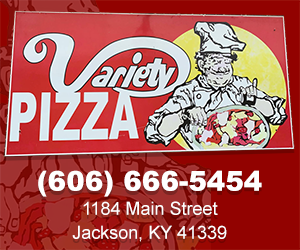 After a great meal prepared by Shirley Hounshell, Phyllis Clemons and Elizabeth Miller, each class was recognized. 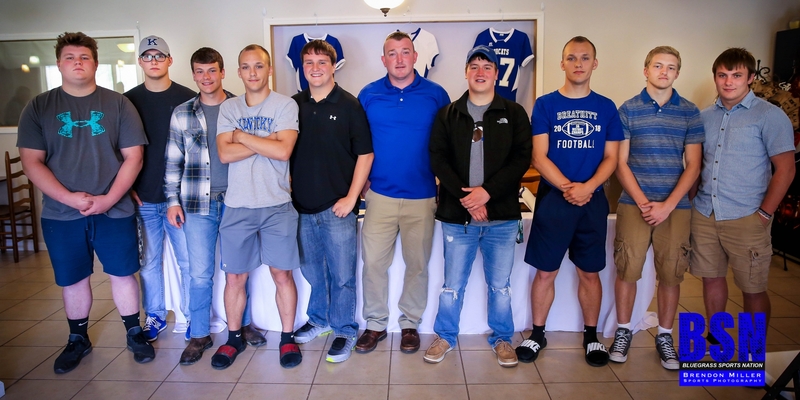 Seniors Chase Banks, Dusty Deaton, Jason Noble, Tyler Patrick, Charlie Hudson, Ethan Hudson, Braxton Eiserman, Tyson Gross, and Ethan Moore were recognized. 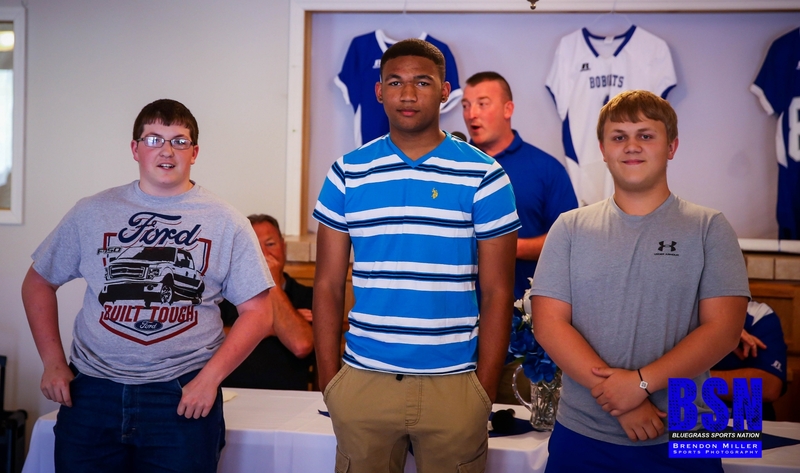 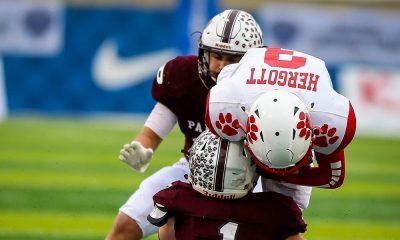 Senior Nick Shelton was not present. 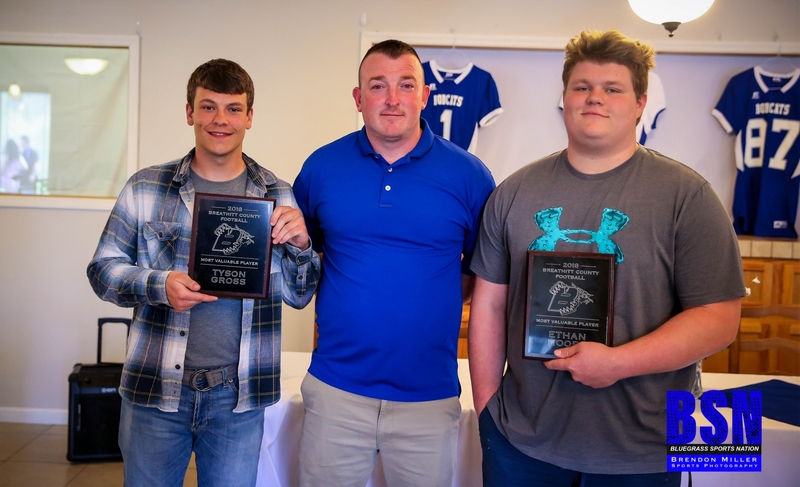 Three season awards were given as voted on by the team. 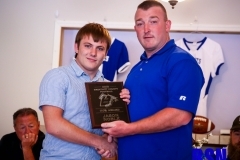 Jason Noble was awarded 110%. 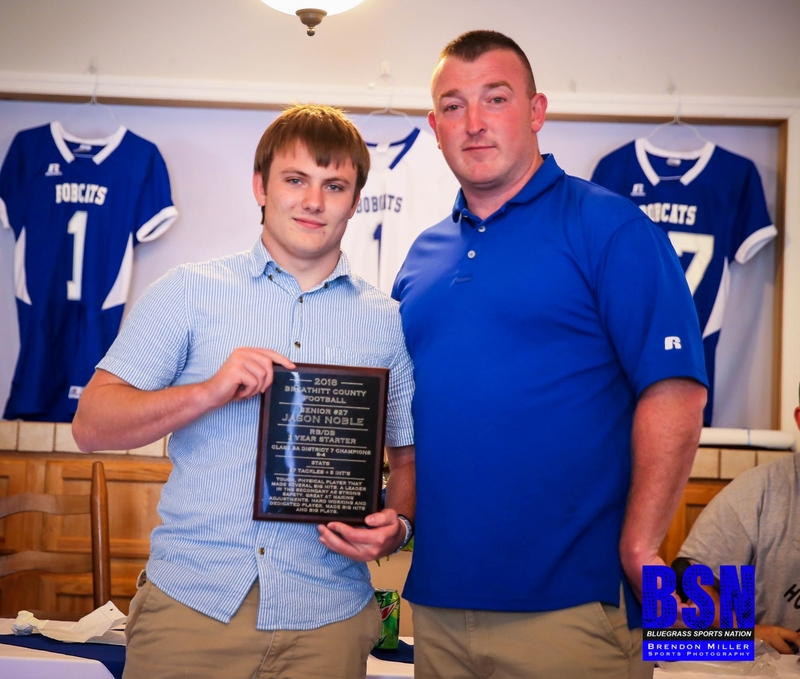 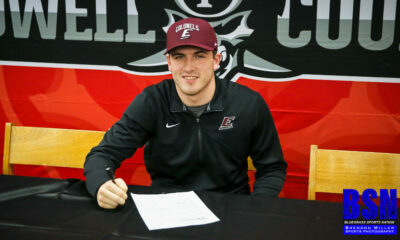 Braxton Eiserman was awarded the Leadership Award. 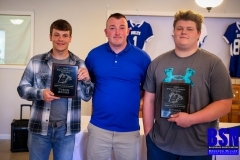 Tyson Gross and Ethan Moore were voted Co-MVP’s.